Nesting together for easy transport and storage, Eureka! 's Camp Cafe quickly brews quality coffee for the whole crew and cleans up in a snap. Nesting together for easy transport and storage, Eureka! 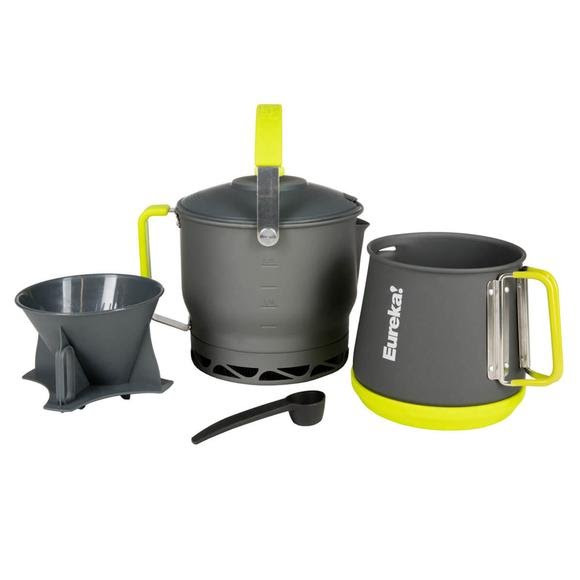 &apos;s Camp Cafe quickly brews quality coffee for the whole crew and cleans up in a snap.